Check out the tidbit below, and enter to win a copy for yourself! 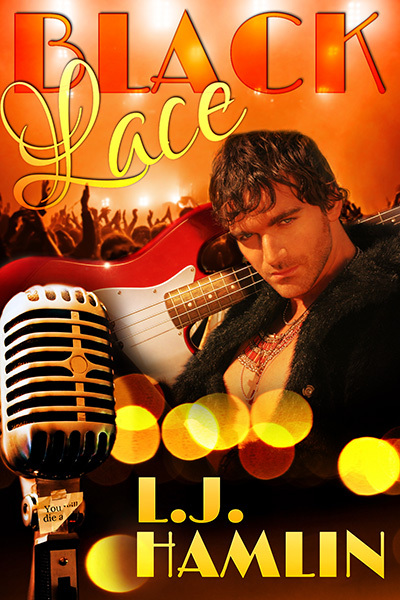 Jed Chance is the lead singer of Black Lace, a very successful rock band. It’s gone through a few lineup changes: first, Jed was outed by a former bandmate, and now they’re looking for another new member. That’s when Donnie comes to audition. Donnie is ten years younger than Jed, and he’s beautiful, with a complicated past. He instantly gets a crush on Jed, but is afraid to act on it. Still, Jed and Donnie can’t keep away from each other. But getting together isn’t their only problem: Jed has attracted a dangerous stalker, who means to do Jed serious harm. Reading about yourself on the Internet might be a bad idea — masochistic even — but during the audition break, Jed has the urge to see the latest gossip. He’s found an article that starts with a recap of Black Lace’s history; his history. Lead singer of Black Lace, Jed Chance, shocked the world when he confirmed that he is, in fact, gay. Rumors started when ex-Black Lace member Bert Goode sold his story about his affair with the married man. Jed winces, because it hadn’t been that simple, and because Bert’s betrayal still hurts, even though it’s been nine years. Jed skips over the speculation of why he’d played it straight, marrying Jamie Pierce, his now ex-wife and manager. At the time, it seemed like the scandal would be the end of Black Lace, but two years after they went on “hiatus” the band was back with a new guitarist, and a new attitude. Mrs. Cherry Lee was a welcome addition to the band, and a breath of fresh air. The once great rock band was back again, delivering some memorable music. But now Cherry Lee has retired from the band to spend more time with her family, having given birth to three children during her seven years in the band. Cherry Lee and the rest of her bandmates all claim to be parting on good terms. But what this reporter wants to know is what will happen to Black Lace now that Cherry Lee is gone. The band’s record company claims this isn’t the end of Black Lace; there will be another tour soon and even a new album. Who will step into Cherry Lee’s shoes? And will it be the same? Better? Worse? Watch this space. Interested? You can find BLACK LACE on Torquere Books and Amazon. Click the Rafflecopter link below for your chance to win an e-copy of BLACK LACE. L.J. Hamlin is a twenty-something (getting older every day) author, who has been writing all her life, mainly in notebooks no one else ever saw. Then she discovered M/M groups online and was encouraged by friends to share her stories. After a while (and with a lot of pushing) she grew brave enough to attempt getting published. Now she shares her stories with others and hopes never to stop. L.J. loves cats and pretty much all animals, is a collector of many things, often weird, but most of all books. 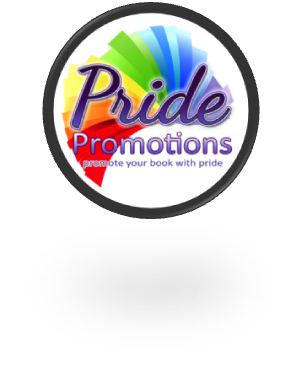 Catch up with LJ on her blog, Facebook, Pinterest and twitter.